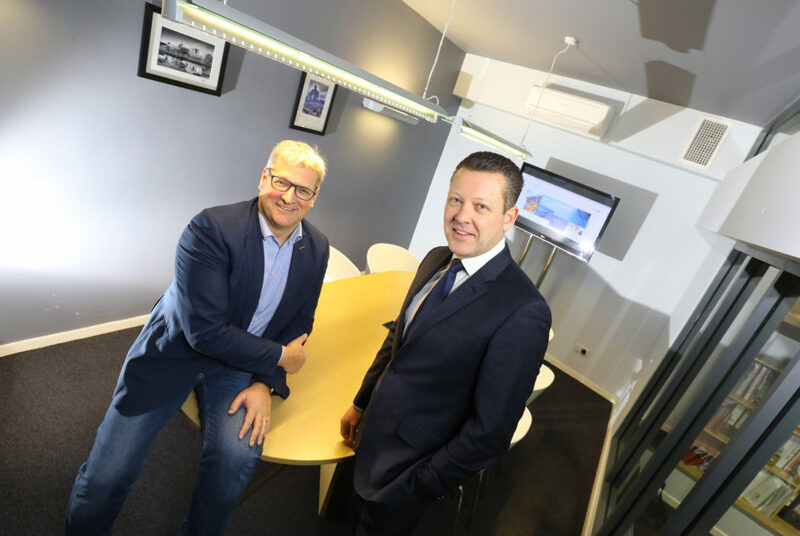 A thriving North East consulting engineering business has praised the impact on its development of its decade-long relationship with regional fund management firm NEL Fund Managers after exiting its final investment agreement with them. Newcastle-headquartered Patrick Parsons Consulting Engineering worked with NEL in 2011 to secure a £250,000 investment from the Finance For Business North East Growth Fund which it used to grow its work overseas, upgrade its IT systems and recruit the expert staff required to deliver a range of new services. Since then, Patrick Parsons has increased its workforce from 26 to 225 people, with 60 of these employees being based in Newcastle, and has seen its annual turnover grow from £750,000 to over £18m. It has also expanded its office network to cover nine locations in the UK through both organic expansion and tactical acquisitions, and has established an overseas presence in both Dubai and Sydney. Patrick Parsons Ltd provides full civil and structural engineering design services to a wide variety of clients and markets, working both domestically and right around the world on schemes ranging from structural surveys to multi-million pound new-build developments. It has been involved with a range of landmark North East projects, such as the recently-opened Sill National Landscape Discovery Centre on Hadrian’s Wall, St James Point and the Portland Green student village in Newcastle, and Lindisfarne Castle on Holy Island. Its growth has also been driven through the introduction of new services including mechanical, electrical and geo-environmental engineering, and it also designed and developed the world’s first modular flat packed white-water course for paddle sports. As part of the next stage of its development plans, Patrick Parsons recently took on a multi-million pound investment from leading UK mid-market private equity firm LDC, which it will use to drive its continuing growth and acquisition strategy. An initial NEL investment in 2007 supported the original management buy-out of the Parsons Group led by managing director Peter Stienlet, and he believes the business would not be anywhere near the size it has become without its decade-long relationship with NEL. Peter Stienlet says: “Patrick Parsons has evolved over the last decade from a small North East practice to a truly global operation, but without the investment capital that NEL provided, it’s very doubtful that we’d have got anywhere near as far as we have. “Businesses that want to grow can’t do so without having access to enough working capital, and from the start of our relationship around the MBO, working with NEL has given us the chance to take on openings that would have otherwise been out of reach. “Even though progress naturally hasn’t always been smooth, our relationship with the NEL team has always been positive – we’ve had nothing but support from them, and the importance of having a business mentor like this available to discuss issues and idea with can’t be underestimated. Mark Wharton, portfolio executive at NEL Fund Managers, adds: “Patrick Parsons is a tremendous North East success story, and one that has used both the region and our investment as springboards towards both national and international success. For further information on NEL Fund Managers’ investment criteria, please visit www.nel.co.uk or call 0345 369 7007.